Cultivating a more eco-friendly mobile home park is a win on so many levels. Both you, your tenants, and the world will benefit from your initiative to embrace an eco-conscious park lifestyle. Over time, eco-friendly decisions will save you and your tenants money. Other benefits to making these changes include mitigation of your park’s footprint on the environment. Thus, improving sustainability as you wisely use resources. 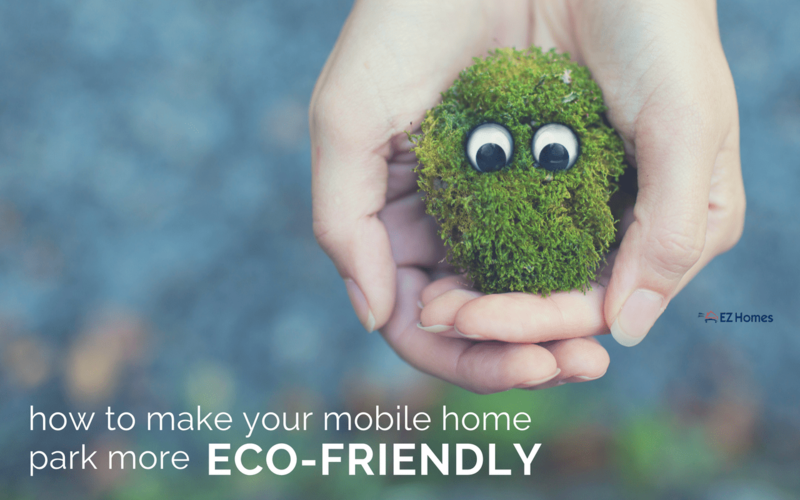 So what are some of the ways you can make your mobile home park more eco-friendly? We’re glad you asked. Within the scope of this article, you’ll find a few practical ideas to get you started on a journey towards a more eco-friendly park. It all starts in the office. Before you begin touting eco-friendly practices to park residents, begin changes by modeling them in your office. In reality, this isn’t hard to do. Simple things such as printing double-sided documents rather than one-sided can reduce paper waste. Instead of throwing out used paper, see if it can be used for note-taking. In general, scrap paper is handy for jotting down phone call information and notes. Another thing you can do is turn off all electronic equipment to cut back on energy use. Use energy efficient light bulbs instead of incandescent bulbs. Reach out to your waste hauler and see if they’ll work with you to set up recycling bins. These bins will provide an easy way for management and residents to recycle waste. Chiefly, by recycling, you’re cutting back on the pollution that comes as a result of waste. Trash dumped in landfills release greenhouse gasses that are harmful to the environment. By reusing materials, forests are protected from over-harvesting. Have you considered going paperless in your park management procedures? Yes, you can manage your park without paper use. For example, bills, warnings, and announcements can be paid or distributed via apps. Apps are a practical way to communicate with residents and stay on top of things such as rent and troubleshooting problems. Naturally, providing educational resources to your mobile home park tenants will help. Invite eco-friendly people to speak at your events. Think of master gardeners, electricians, and artists who use recyclable materials. These seminars can also morph into fun workshops for your residents. They’ll cultivate a positive outlook on eco-friendly actions. Preferably, send out educational material via email. But that’s all contingent on the type of audience you’re dealing with. If your park’s demographic isn’t going to be into checking email, then investing in printed material is worth it. Distribute handouts that focus on various aspects of eco-friendly practices. In the summer, you might publish a flyer on water conservation practices. During the summer many locations are at-risk with low water levels. In the winter, you can provide tips for keeping the heat in and the cold out. You know those patches of green area that are uninhabited? Or that park area that’s a bit disheveled? It’s time to look at those green spaces and see what can be done about them. Clean things up, plant trees, shrubs, and install a bench. Green spaces are great for any community. They encourage outdoor activities and provide health benefits to the environment. Green spaces pose as filters for the air. Pollution and dust are filtered out thanks to green spaces. This goes hand in hand with the workshops and seminars we suggested. 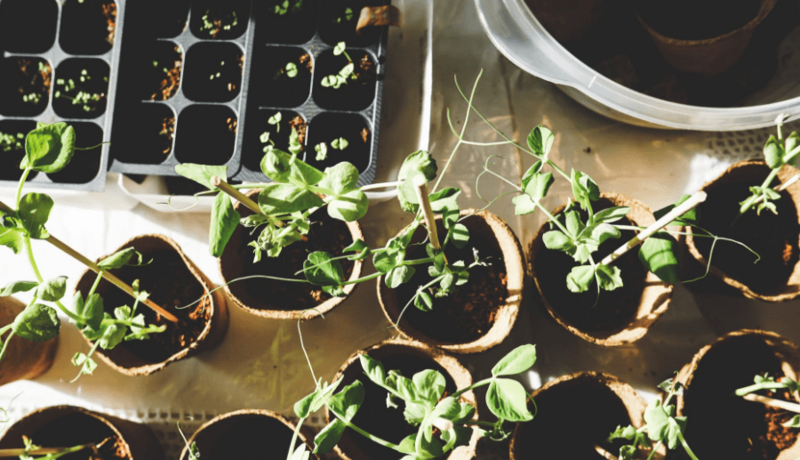 Encourage your residents to plant gardens – this is good for both mental health and the environment. Gardens release oxygen back into the environment. They’re a great therapy hobby for anyone – and your residents will love reaping the fruit of their labors. Additionally, gardens provide nutrients to your residents as the veggies are consumed by families. Gardens will give kids a great project to pour their energy into. To summarize, making your mobile home park more eco-friendly is possible. Provide your park with meaningful educational resources. Have your office management team step up by modeling good eco-friendly practices. Go paperless and set up an easy recycling waste system for office and tenants alike. Seriously thinking about hosting seminars for your mobile home park? That’s great. Consider setting up a community announcements board. An announcement board can help maintain an open door of communication on park events. We’ll walk you through the process of creating one and different ideas for its use.